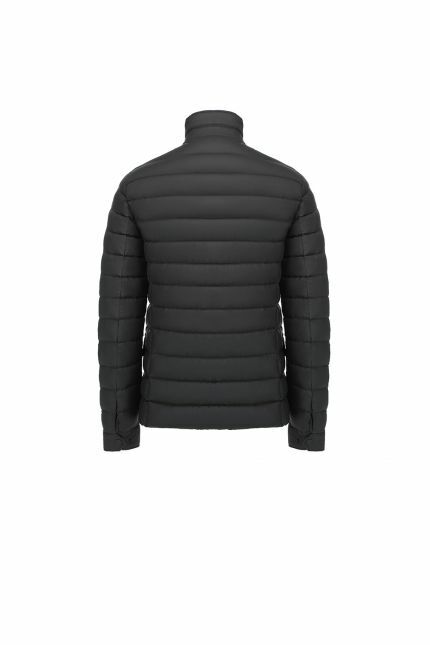 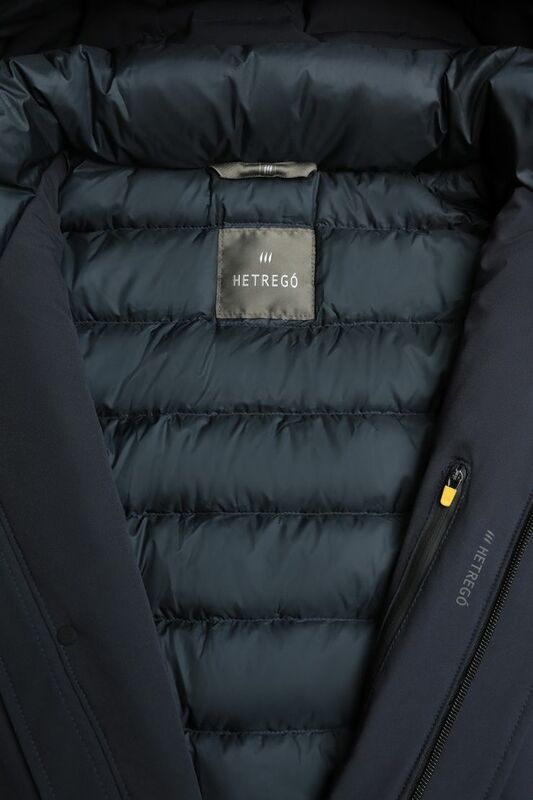 Shaped in waterproof and windproof fabric, Hetregó Leon navy blue padded coat is designed to keep you cool and comfortable. This coat matches both sporty and classic outfit and it can be easily worn over a suit. 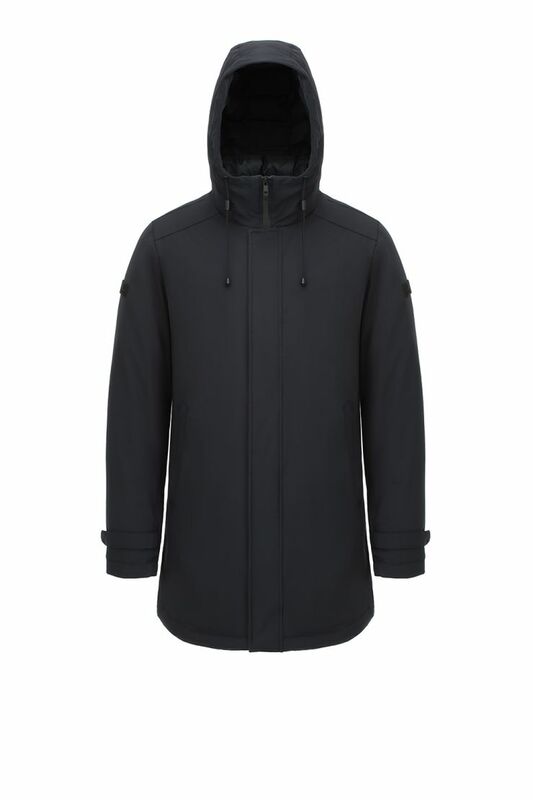 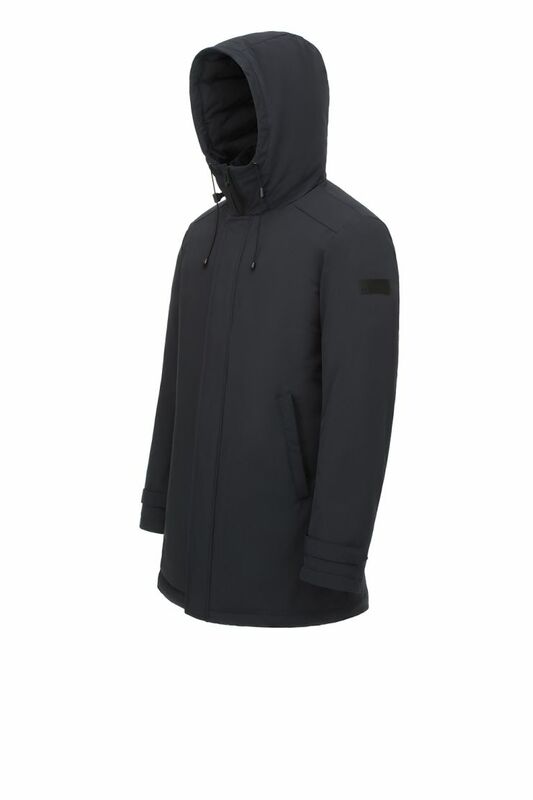 The coat features a placket with hidden snap closures over 2-way zipper and adjustable cuffs. 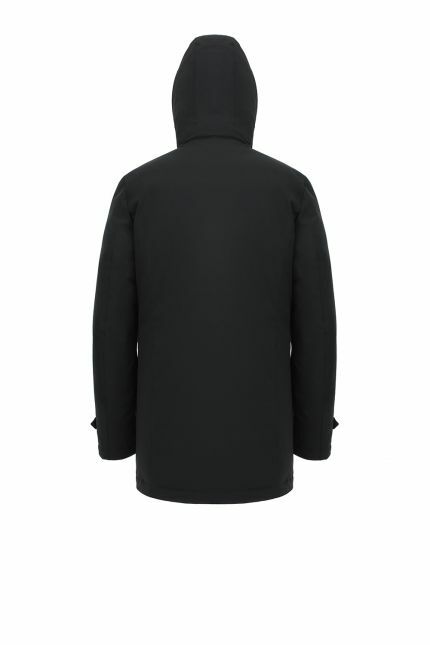 In case of rain or heavy wind, wear the attached hood and adjust it with the elastic drawcords. 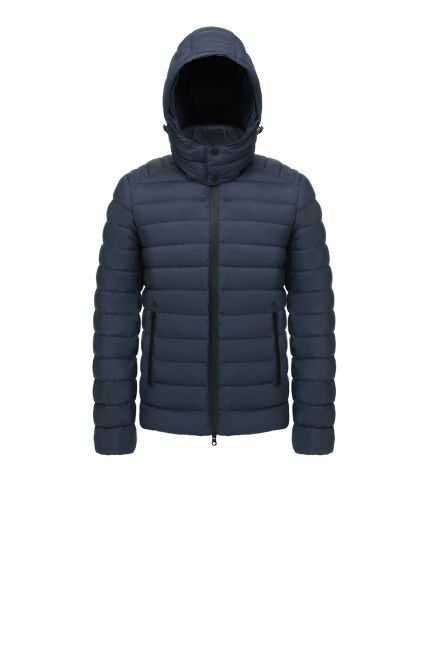 Padded in goose down, Leon is outfitted with double collar and technical fabric rib-knit cuffs to increase protection against cold. Lining is navy blue as external fabric.